1 Can I tailor-made my cake order? Absolutely. Please visit the section on www.gurgaonbakers/share-your-requirement/ and share your requirements. 2 Do I need to refrigerate the cake or cupcakes delivered? No, it will make them dry. Cakes delivered are freshly baked using only the finest ingredients and are with No preservatives. For best taste it should be consumed on the day its received. In case it’s to be stored for overnight, box is to be wrapped with plastic and kept at the room temperature. 3 How much in advance can I place my order online? Orders can be placed up to one month in advance. 4 What are your shipping rates? For the customers in Gurgaon, shipping is at a nominal cost for Bakery products. We are yet to start the supplies in other parts of the region. For Bakery tools, we charge a nominal rate of INR100. 5 Do you do same-day shipping? Normal Delivery :- All Orders are delivered between 11 am till 9 pm in the normal delivery time. Express Delivery:- If customer requires the item to be delivered within 3 hours, this option is available till 11AM till 6PM then customer has to select express delivery option on product page. We at GurgaonBakers delivers the cake at your door step within 3 hours. Night Delivery :- If customer requires the items to be delivered in Night then the order will be delivered any-time between 9 Pm till 11 PM. We request customer to take prior confirmation over phone before selecting the Night delivery. 6 What happens if I’m not available to receive the delivery? In case because of some reasons you are not available to take the delivery, on your instructions it can be delivered to someone in your close neighborhood. In case its not possible, it will be returned back to our POD, from there you need to arrange for its pick up. 7 What are your hours? We take orders on the website on 24×7 basis. Deliveries happen on Monday – Sunday from 11:00 am – 11pm. 8 What are the payment methods? We accept cash and all major credit cards (online). 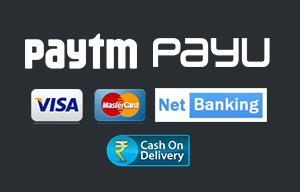 We have a tie up with PayU which enables the online payment transactions. 9 What are the kind of ingredients used? We use high-quality natural ingredients and all in the bakery is made from scratch. 10 Do you deliver in Gurgaon or South Delhi? Yes. There are nominal charges for delivery of Bakery Products happening in Gurgaon and South Delhi. For Tools, we charge INR 100 as delivery charges. 11 Can you write a message on my cake? Yes, almost all of our cakes can be written on at no extra cost. 12 I would like to order a cake with a large amount of customization required on it. How early should I place an order? I would like to order a cake with a large amount of customization required on it. How early should I place an order? Have a different question? Then don’t hesitate to call, email, or visit us!